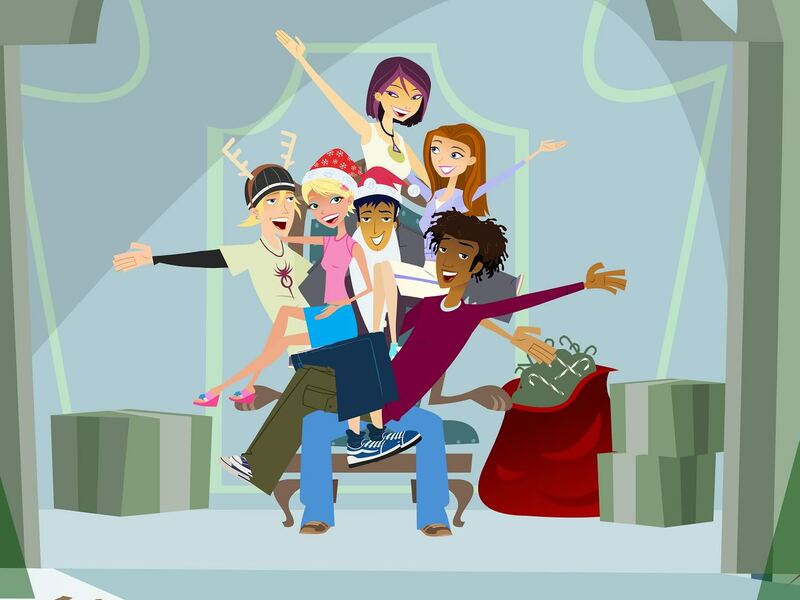 Before watching an episode, I'd never heard of the Canadian animated series, 6Teen. After, I found myself nostalgically missing the innocent years in which I'd never seen it. The series's premise is simple: six teenagers work at the mall, hang out with their friends, and deal with life's challenges. By engaging with relatively serious subject matter and cutting back on slapstick, the show manages to masquerade as something intelligent and mature, while in reality being as superficially hollow and pointless as Saved by the Bell. At least, that's my read after seeing this episode. The plot concerns the six leads trying to maintain some modicum of holiday spirit despite dealing with last-minute shoppers. Plus, a couple of their parents are dating, which is creating tension around conflicting holiday traditions. Bored out of your mind yet? Did I mention one gets a job working as one of Santa's elves? Oh, then they all get locked in the mall on Christmas Eve. Swear to God, I was one Scrooge reenactment away from having Bingo. The resolution was about as cliche as everything else. They had a fight, then came together, made the best of their situation, and persevered, celebrating together. Also, they remembered one of them had a key, so that wasn't an issue, anyway. They spent Christmas with their families after partying in the mall. Had the jokes been at all funny or the characters' problems remotely interesting, they could have redeemed the premise as either a comedy or drama. Instead, we were left staring at a vapid, uninspired mess of teenage angst. Oh, and it all looked like crap. The show was produced digitally in 2D by people who clearly didn't understand the medium. They cut out the outlines, since computers don't really need them, but didn't adjust their design scheme accordingly. As a result, the animation looks incredibly bland. Which is at least appropriate, I guess. Skip this - it's not worth your time.